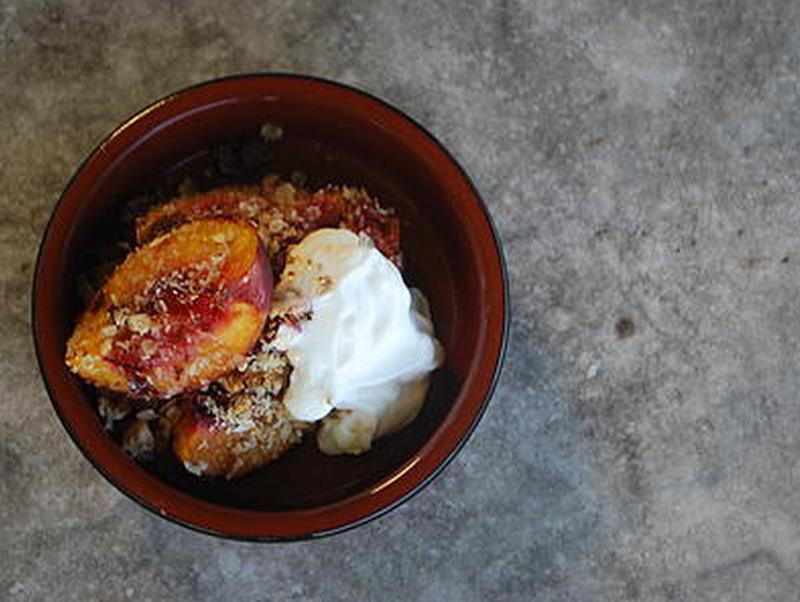 Nectarines are one of our favourite summer fruits, and this makes a delicious gluten-free alternative to heavier traditional crumbles. Nectarines are rich in immune boosting nutrients vitamin C and beta carotene (which is converted to vitamin A by the body), as well as antioxidants such as lutein which is important for healthy eyes. 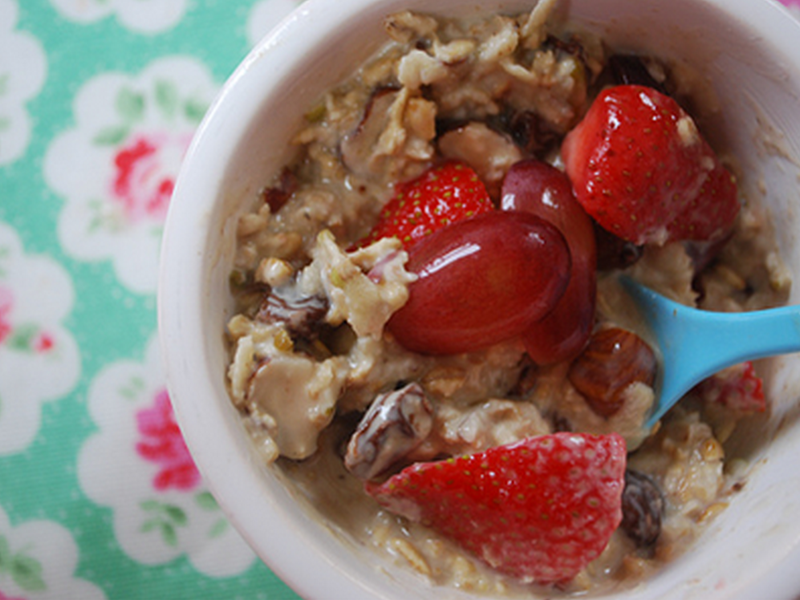 This is delicious as a light pudding and even works as a breakfast. Halve or quarter the nectarines, remove the stones, and place in an ovenproof dish. In a mixing bowl, combine the ground almonds and grated cold butter (I just grate as it saves time and makes the butter nice and small to start with). Using your fingers, massage the two ingredients together until it resembles breadcrumbs. Add the sugar, oats and crushed hazelnuts and stir to combine. 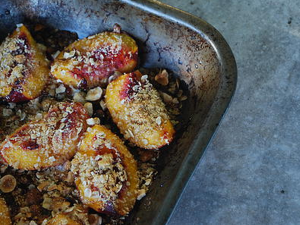 Sprinkle the crumble topping over the nectarines and place in the oven for 20 minutes until the nectarines are lovely and soft and the crumble crunchy. 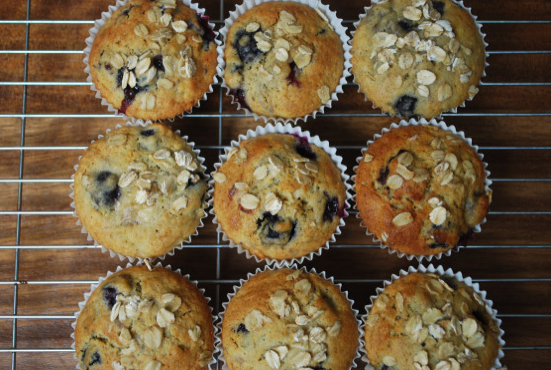 Delicious with natural Greek yogurt and a drizzle of honey.